Brenda Roy is an international award winning jewellery designer creating contemporary jewellery that explores contrasts in metal and stone. She returned to school after a career as a professional stage manager and in 1991 graduated at the top of the first class of the Jewellery and Metals Program at Georgian College in Barrie. In her graduating year Brenda received a Diamonds International Award and her winning piece, a bracelet with the unusual combination of gold, diamonds, acrylic and enamel, toured the world as part of the Diamonds International collection. In 2007 she received the Tommia Vaughn Jones Award for excellence in metalwork. 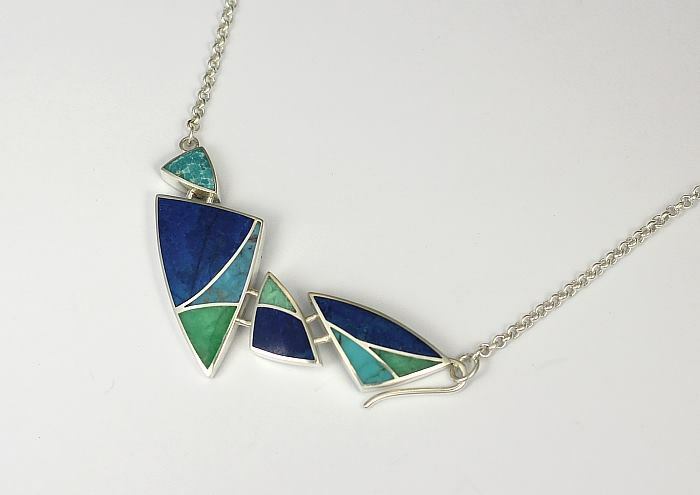 Since graduating she has worked full time as a studio designer/goldsmith out of her studio in Alliston, Ontario. Her work is represented in galleries across the province and has been seen in television and film – most notably the first X-Men movie. Brenda regularly participates in art and craft shows such as The Moose Show and as a guest on the Dundas Studio Tour. As a member of “5”, a collective of women artists in the Dufferin/South Simcoe area, she organizes and participates in their annual “Quint*Essential” show. She is also a founding member of “An Droichead: the bridge” which is an international collective of contemporary artists working from Celtic traditions. The Bridge has organized and curated several shows and are regular faculty at the Celtic College in Goderich, Ontario. 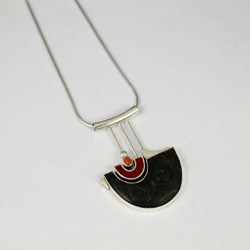 Brenda is active in local, regional and national arts organizations such as the New Tecumseth and Area Arts Council, the Ontario Crafts Council and the Metal Arts Guild.